It’s National Pie Day! 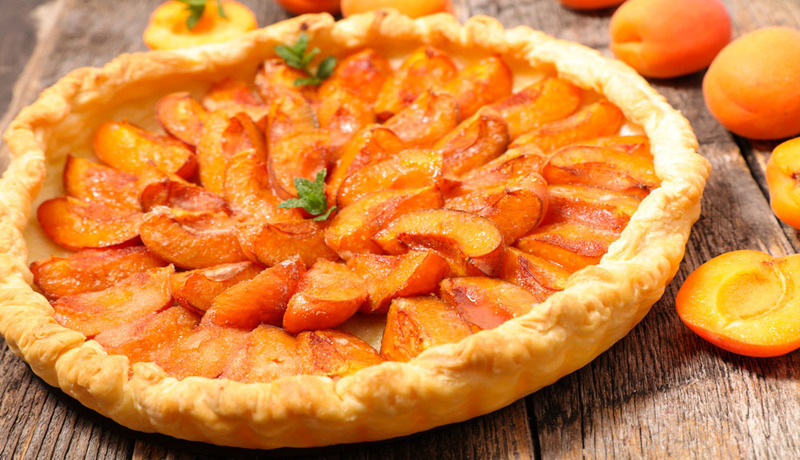 You might have enjoyed slices of pumpkin and apple pie on Thanksgiving. but the holiday pie season isn’t over yet. 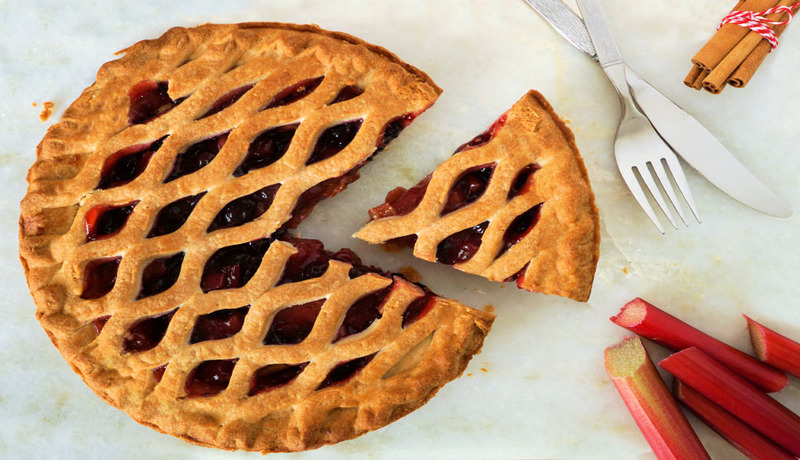 Pies come in both sweet and savory varieties and the sky is almost the limit when it comes to deciding how to fill them. 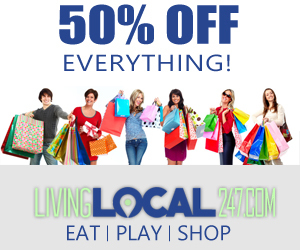 Try the delicious pies below to enjoy on National Pie Day and throughout the holidays. Rhubarb grows in stalks that look somewhat like celery, but are a pinkish red. This vegetable is very tart and is often mixed with sugar and combined with strawberries in pie. This pie features rhubarb as the main event. 1) Combine three tablespoons of cornstarch with two teaspoons of orange zest, 1/8 teaspoon of salt and one cup of sugar in a bowl. 2) Add in two tablespoons of orange juice and two pounds of rhubarb cut into half inch pieces. 3) Stir until well coated. 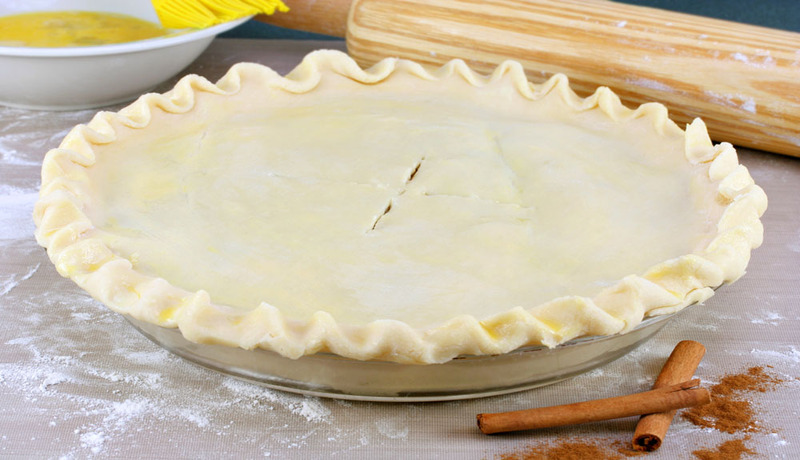 4) Pour into a prepared pie shell and cover with a second piecrust, cutting slits into the top for steam to escape. 5) Bake at 400 degrees for 15 minutes. 6) Turn the oven down to 350 degrees for about an hour, or until the crust is browned and filling is bubbling. Who says you should only have pie for dessert? This breakfast pie gives you a burst of sweetness that you can enjoy for breakfast just like any other pastry. 1) Start with two pounds of ripe apricots and combine with two tablespoons of sugar, two tablespoons of flour and a few pinches of baking spices such as cinnamon, ginger, nutmeg, allspice, cloves, cardamom, etc. 2) You can mix and match to fit your tastes and the fruit, if you decide to use something other than apricot. 3) Add in a pinch of grated lemon zest. 4) Mix everything up and transfer to a baking dish or cast iron skillet. 5) Using premade pie dough or your own recipe, roll out the crust to about a quarter inch thick. Make sure it’s slightly bigger than the baking dish. 6) Transfer to the top of the pie mixture, press it down gently and then tuck in the sides. 7) Bake at 425 degrees for about 10 minutes to brown the top, then turn it down to 350 degrees and bake for another 30 minutes or less. 8) Very ripe apricots should only take 15 minutes, but harder fruit like pears or apples could take up to 30. 9) Serve with mascarpone, Devonshire cream or yogurt. Everyone’s heard of a lemon meringue pie, but this is a unique take on the style that also uses apricots. 1) To start, you’ll need a pre-baked pie shell. 2) For the filling, you’ll need one pound of apricots cut into one inch pieces. 3) Combine with three tablespoons of lemon juice in a blender and mix until smooth. 4) Pour the mixture through a mesh strainer over a bowl. 5) Press the mixture with the back of a spoon to ensure everything gets strained. 6) Discard the strainer contents. Measure out one cup of the mixture and set aside. 7) Next, separate six egg yolks from the whites. 8) Set the whites aside in a clean bowl. Whisk the yolks to break them up. 9) Combine one cup of sugar, a quarter teaspoon of salt and a quarter cup plus two tablespoons of cornstarch in a nonreactive saucepan. 10) Whisk in one cup of water until quite smooth. 11) Place the pan over medium heat and continue whisking until it bubbles a bit. 12) Continue cooking and whisking until the mixture becomes thick gel. 13) Add a quarter cup to the egg yolks and combine. 14) Then add the apricot mixture to the pan with the gel and combine. 15) Add in the egg yolks next and combine. 16) Return the pan to the heat and cook and stir for about seven minutes or until thick. 17) Add two tablespoons of butter and allow it to melt into the mixture and stir. 18) Pour the mixture into the crust and let it cool for 30 minutes. 19) Next up, make the meringue by whisking one cup of sugar two tablespoons at a time into the bowl of egg whites. 20) Add half an inch of water to a saucepan that is big enough to hold the bowl without it touching the ½ inch of water. 21) Bring to a simmer and then reduce the heat to low. 22) Whisk the sugar and egg mixture until the sugar is dissolved and the mixture reaches 150 degrees. 23) Remove and add a quarter teaspoon of cream of tartar. 24) Using a mixer with a whisk attachment, start on low, increase to medium and eventually whisk on high until peaks form. 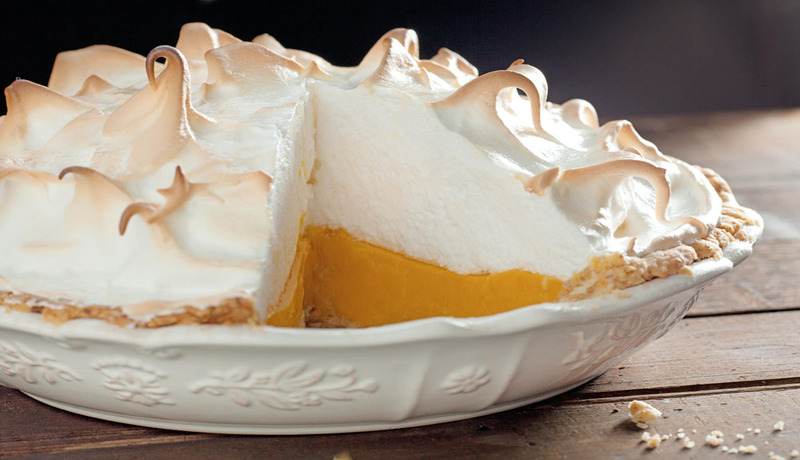 25) Add the meringue to the pie and then bake at 475 degrees for five minutes or until meringue is golden. 26) Let the pie cool before slicing.